Beekeeping on Public Land | Southern Beekeepers Association Inc. Some time ago, at the request of the TBA, the Southern Branch (i.e. the Southern Beekeepers Association) established a Hive Site Allocation Committee (HSAC). The next meeting of the HSAC is (Date and place TBA). All Association members welcome! The role of the HSAC is: ‘To provide recommendations to the managers of public lands in Southern Tasmania, through the TBA if necessary, regarding the allocation of apiary sites’. The document which guides the HSAC in making these recommendations is the ‘Tasmanian Apiary Management Guidelines for Public Land’. The current version of this document is below. Note: In the ‘Member Area’ of this website, there is an article which gives advice to members on accessing leatherwood in Tasmania. To provide a consistent and fair procedure for the allocation and management of apiary sites on public land administered by Sustainable Timbers Tasmania (STT) Tasmanian Parks and Wildlife Service (PWS – responsible for Reserve Land & Crown Land) and other subscribing agencies, here forth referred to as “The Landowners”. The Landowners and the TBA will have representation on the North Apiary Management Committee in the north of the State and the Hive Site Allocation Committee in the south of the State. Both committees are responsible for providing recommendations on apiary site allocation to the Landowners through the implementation of the Tasmanian Apiary Management Guidelines for Public Land. Meetings dates are to be set at least one month in advance to ensure all beekeepers receive adequate notice of meetings. a)	The NAMC will be responsible for apiary site matters located on STT & PWS managed land north of Tunbridge. b)	Meeting dates as required. a)	Initial communication by all Licensees, including non-Branch and non-TBA Inc members, shall be with the relevant Landowner, who may then refer the issues to either the NAMC or HSAC for consideration and recommendation. b)	The Landowners will ensure that all Licensees with sites on their respective lands receive annual updates of the necessary guidelines and conditions, if such documents have been updated from the previous year. c)	Each Landowner may conduct regular, random audits on sites. Sites found to not comply with points 5b, 7b, 7c, 8d, 8e, 8f or 8g will be declared vacant unless the owner can give good reason. 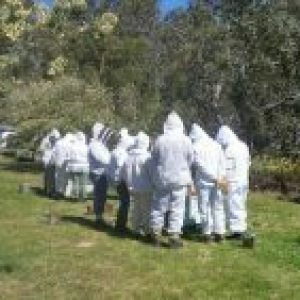 a)	Licensees must be familiar and comply with the Tasmanian Animal Health Act 1995, and the Tasmanian Animal Health (Apiaries) Regulations 2011.
b)	Licensees are to be registered with the Department of Primary Industries, Parks, Water and Environment (DPIPWE) to qualify for the issuing of an apiary licence. c)	Beekeepers must make use of the free honey testing facility offered by DPIPWE for the testing of American Foulbrood spores. d)	Proof of registration must be received by the Landowner before a Licensee may occupy their site/s each year. If a Licensee occupies their site/s without having submitted proof of registration for the year, that Licensees site/s will be declared vacant. e)	Tendering for sites is not acceptable to the apiary industry. f)	A member of the Committee who has a conflict of interest is not entitled to vote on that particular application. a)	A Licensee will not be allocated new sites unless they fully utilise all their existing sites. b)	An applicant must be able to fully utilise a site within 2 years. To be deemed to be “fully” utilising the site/s, applicant/s must be utilising at least 80% of the nominated site capacity. c)	When new areas become accessible due to STT road construction for wood production, members of the industry may consult the STT Interactive Map Viewer at www.sttas.com.au to identify potential sites which will be allocated in accordance with the relevant criteria. d)	The Landowner will impose a fee on the identifying beekeeper to cover the cost of an environmental assessment. This fee would be irrespective of the success of the application. e)	The beekeeper who identifies a new site and lodges a formal application will have first option for the site provided any likely impact on neighbouring sites are first agreed to by the affected neighbour. f)	New sites will not be allocated within a 3km radius of any other existing sites without prior consultation and approval of the nearest neighbours within the 3km radius of the new site. g)	New or trial sites will attract the full site and hive fee upon registering of that site. h)	All new sites need to initially be GPS’d by the Licensee using the new Geocentric Datum of Australia (GDA) with UTM grid reference (Easting and Northing). i)	The relevant Landowners will have the final say on all site allocations taking into account the relevant Committee’s recommendations. j)	Vacant sites are sites no longer occupied for whatever reason, and will be offered back to the industry for re-allocation. k)	Sites declared “Vacant” by either Committee shall be published once per year (if required) by the relevant Landowner as a Public Notice in the Mercury, Advocate, Examiner newspapers, calling for expressions of interest. Subject to 5 (n). This notice may also be published on the Landowners and TBA Web Sites and TBA/Branch newsletters. All submissions or applications received by the closing date will be entered into a random draw to be drawn at the following Committee meeting, or by a member of the TBA in the presence of a representative of the relevant Landowner at a suitable date if there is no meeting scheduled before the next season. The successful applicant will be notified in writing by the relevant Landowner. l)	The relevant Landowners will have the final say on all site allocations taking into account recommendations from the relevant Committee. m)	Consideration must be given to Licensees that have lost site capacity through forestry operations, road closure or fire damage. A list of Displaced Licensees is to be maintained by the NAMC and HSAC. a)	The purchaser of hives is to have priority for re-allocation to them of the relevant site/s occupied by the seller. If any sites are surplus to the requirement of the purchaser they will be declared vacant. Notification to the relevant Landowner of the sale of hives must be given in writing by the seller, including details of the purchaser, the number of hives and relevant site/s. b)	The relevant Landowner must approve the transfer of sites between Licensees to ensure accurate records are maintained. c)	Following site transfer, sites must be fully utilised within two years. d)	All sites issued to a Licensee shall remain those Licensees sites until they relinquish them by way of selling hives, vacating sites, not complying with these guidelines or not complying with the conditions of their apiary licence. If displaced by SST activity or by any cause other than their own, Licensees shall be placed on the Displaced Licensees list. a)	If a Licensee wants to change the nominated capacity of a site, they must make application to the relevant Committee with justification for the change. If the site capacity is to be increased, all licensees within 3km of the requesting site are to be advised 30 days before the committee meeting dealing with the request, to enable them to make representation to the committee. b)	If a site is not fully utilised for two years, and the Licensee does not have a valid reason, the site should be declared vacant. c)	Variations plus or minus of hives on site for management purposes is allowable but may not exceed 20% of the nominated site capacity. a)	Clearing sites of weeds and competing scrub and other basic maintenance is the responsibility of the Licensee. b)	Mechanised clearing or site-levelling work is the responsibility of the Licensee, but must be approved by the relevant Landowner. c)	The Licensee is responsible for the maintenance of site specific access if the Landowner does not require the use of the roads for their own operational purposes. Maintenance assistance may be requested by the Licensee in writing to the relevant Landowner, if access to sites has been affected, but the Licensee has the final obligation for road maintenance to their site/s. d)	Each Licensee adversely affected by access issues shall equally contribute towards the cost of improving access for those Licensees within 60 days. e)	Hives must be placed only on the approved site. f)	Licensees are required to erect an ‘apiary site’ sign that is suitably weatherproof and showing the site number, nominated hive capacity, Licensee’s name and contact telephone number. g)	All hives are to be free from infection, wood rot, disease or any other injurious matter. a)	STT’s Three Year Wood Production Plan is available for viewing via an interactive web based map called Interactive Map Viewer, at www.sttas.com.au. Beekeepers may request further information from the relevant Region on operations planned near their sites. b)	Correspondence for the NAMC will be through the NAMC Secretary and correspondence for the HSAC will be through the STBA Secretary. c)	Committee Meeting Agendas and Minutes are to be forwarded by the relevant Committee Secretaries to Committee members and TBA and Branch Secretaries. The onus remains on the TBA and Branches to ensure correspondence is adequately distributed to their members. d)	Beekeepers who are not TBA members and require minutes and agenda’s to contact the secretary of the NAMC or HSAC. e)	All relevant site matters will be addressed at the meetings of the NAMC and HSAC. Submissions for consideration must be presented to the relevant Landowner at least 1 month prior to each meeting. a)	Disputes will be submitted to the relevant Committee in the first instance. Then the TBA if the dispute cannot be resolved. The Landowner has the final decision taking into account the recommendation of the relevant Committee. a) This document may be reviewed annually by the NAMC and HSAC, with final endorsement required by the Landowners and TBA executive.